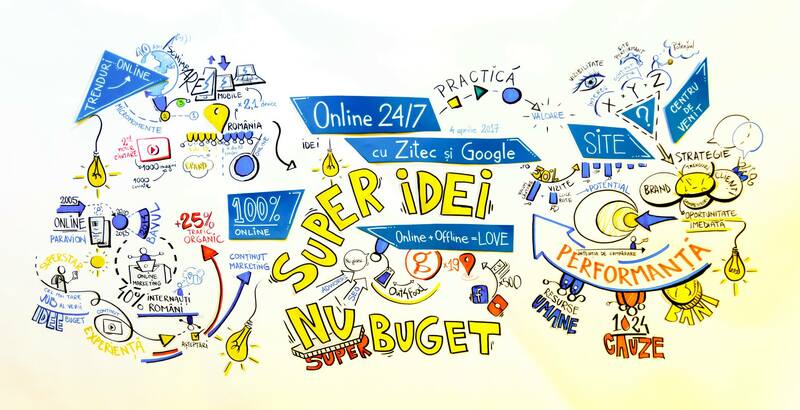 More than 70 representatives from different industries joined us last week for the Online 24/7 event organized by Zitec in partnership with Google. Our guests learned about the latest trends in online marketing and how to transform their websites into an asset that generates profit, not only costs. 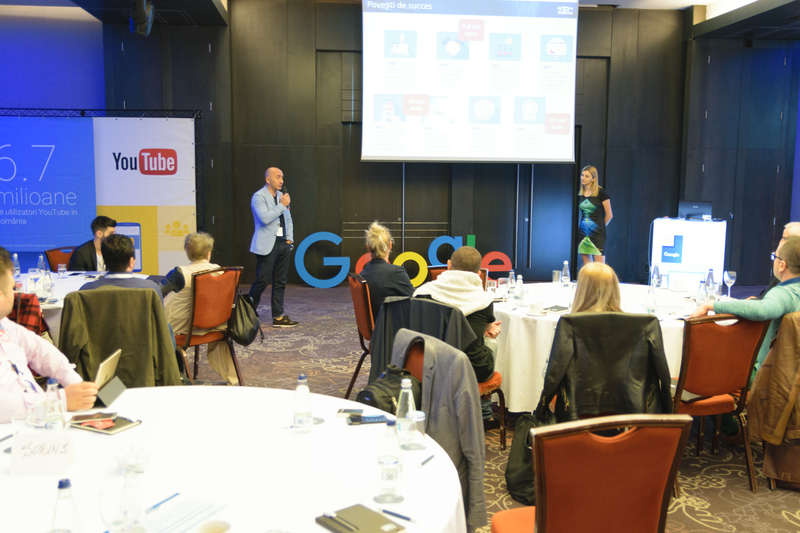 The following 3 presentations, held by Ioana Slobozianu – Head of Online Marketing at Zitec, included success stories illustrating how the online marketing department has increased the profit for 2 major players from the Romanian market: City Grill and Paravion. Ramona Popescu, Marketing Manager at City Grill, confessed that: “it’s extremely important to find a partner that has the expertise and that can identify vital problems and develop strategies from the ground up for your business and we were fortunate to choose Zitec. It’s very effective to come up with marketing campaigns for your brand, bring goals to the table and being confident they will come up with the best solutions”. Remus Vișan, Managing Director at Paravion & Bavul.com, after showcasing his presentation on our collaboration for the Paravion.ro travel website, has concluded that “It is very efficient to have an external team of online marketing specialists, like the one at Zitec, that you can rely on, to get some guidance. I strongly recommend that, even when you have an internal marketing department”. The event was not finished before our workshop session. During the workshop, the participants had the opportunity to talk to one of our online marketing specialists and get answers to questions specific to their own business. The exercise was designed for every business that wants to generate profit. In fact, one representative of Farmbee has declared that “anything is possible with the right strategy and the case studies presented today have motivated us to succeed”. At the end, the event was a success for our participants because they learned more about online marketing and for us too because we met extraordinary people with great potential to influence the Romanian market. The Zitec team wants to thank you for being there with us and Google! For more pics from the event, check the dedicated album on our Facebook page.